Star Hawkesbury mare Spright is back home after a career-best interstate performance to prepare for a crack at The Everest “consolation” at Royal Randwick on Saturday week. Spright arrived back at trainer Garry Frazer’s stables at 3am on Monday following her fast-finishing third to Viddora and The Everest contender Brave Smash in the $500,000 Group 1 wfa Moir Stakes (1000m) at Moonee Valley last Friday night. Her next target is the $500,000 Group 3 Sydney Stakes run under identical conditions – weight-for-age at 1200m – as the $13m The Everest. Frazer, understandably, was delighted with Spright’s first-up Moir performance to come from last at the 800m, and is hoping Damien Oliver will continue his association with her at Randwick. “Damien was impressed with Spright’s performance, and his manager has told me he is keen to stay with her on Saturday week,” Frazer said. 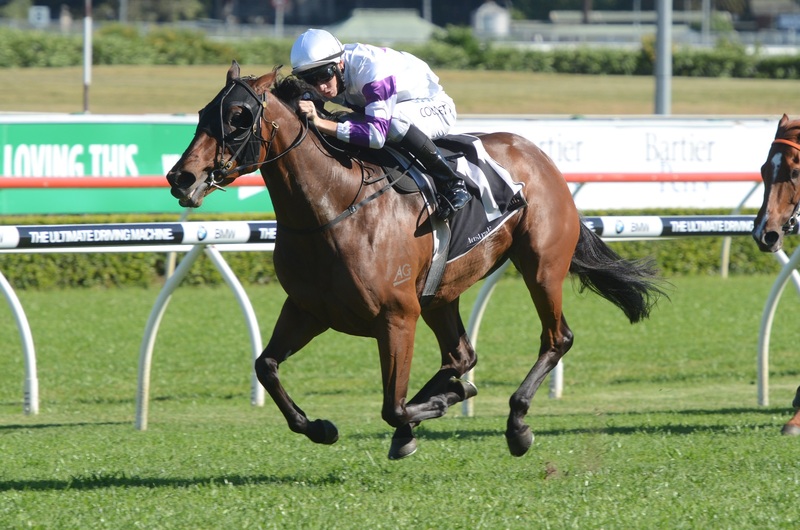 “It will depend on any commitments he may have at the Caulfield Guineas meeting the same day. “Spright was officially timed to run her last 800m at the Valley in 44.56 seconds. It was a fantastic performance considering 1000m is a bit short of her ideal distance. It had to be a career-best as it was her first time in a Group 1, first time at weight-for-age and first time racing under lights. She is certainly a valuable mare. Spright, a five-year-old daughter of Hinchinbrook, has raced 22 times for five wins and seven placings. She has won three Group 3s (2016 Red Roses Stakes at Flemington and Star Kingdom Stakes at Rosehill Gardens and Healy Stakes at Doomben this year) and her earnings are approaching $700,000. Meanwhile, Hawkesbury apprentice Brandon Griffiths notched his fourth winner in the first two months of the season when successful at last Saturday’s Mudgee meeting. He scored on Tiger’s Story ($4.20) in the Benchmark 50 Handicap (1600m) for Cessnock trainer Jason Waters. It was the seventh overall NSW winner for the 21-year-old former South Australian apprentice, who relocated to Hawkesbury last season to rekindle his riding career. Aside from his winner, Griffiths also had an interesting experience at the Mudgee meeting in a 1000m barrier trial after the last race. And Ings's daughter and Griffiths’ partner, fellow apprentice Chelsea Ings, is nearing a return to race riding. Ings has been sidelined since fracturing the talus bone in her right ankle when dislodged from Kailis Pearl at Port Macquarie on May 18.